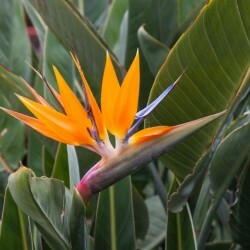 Categories: Flowers by the Stem, Tropical Foliage. 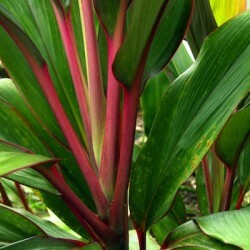 Hawaiian ti leaves are the classic tropical foliage in Hawaiian flower assortments. 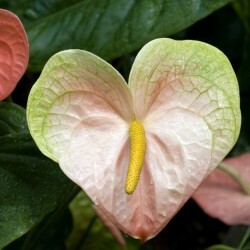 They are also used for lei making, cooking and hula skirts. 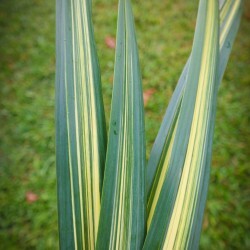 Leaves are available in green or red with savings on a dozen or more. The name is pronounced the same as the word ‘tea’. For large orders (more than 10 dozen) please order ahead of time. 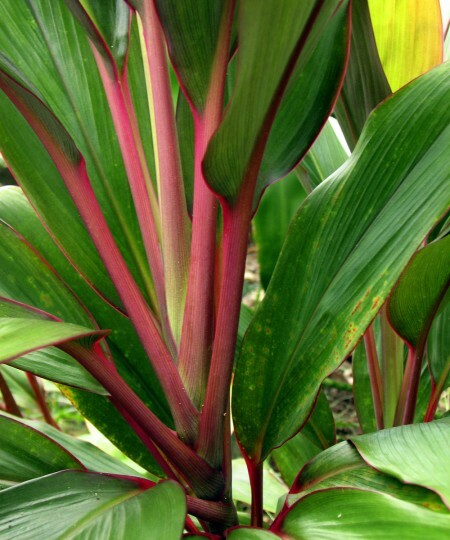 Fill out any Hawaiian flower arrangement with these long, deep green or red leaves. 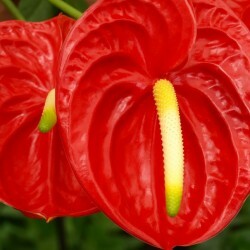 They go well with any tropical stems. 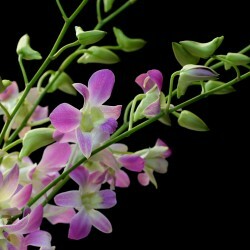 They are wide enough that a few can be used in the back of your arrangement. 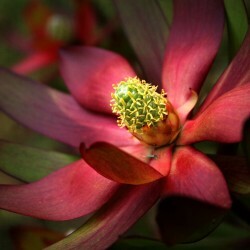 This will help the tropical flowers stand out against the green background created by the ti leaves. 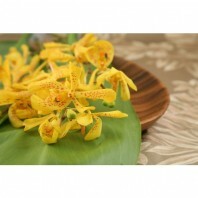 Ti leaves can be frozen or microwaved to make them soft and supple for braiding into ti leaf leis. The center stem or ‘bone’ is removed so the lei make can easily work with them. 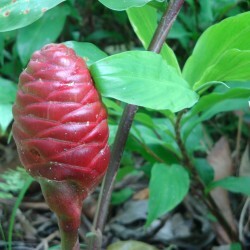 Ti grows wild throughout Hawaii though it is not a native plant. It was so important to early Polynesians that they brought it to new islands that they settled. It was considered sacred and used by priests. Ti leaves are associated with having good luck. So in a traditional Hawaiian act of blessing the leaves may be waved or used to sprinkle water. This is a common practice in Hawaii even today. Ti was also used as a medicine for various ailments. 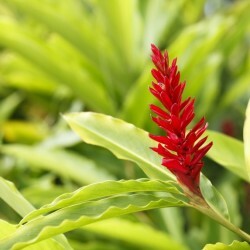 In modern Hawaii you will see it used for landscaping homes and commercial location. 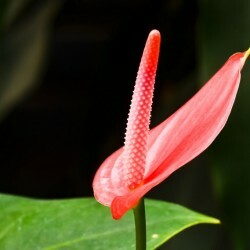 The growing plant is also thought to bring luck. 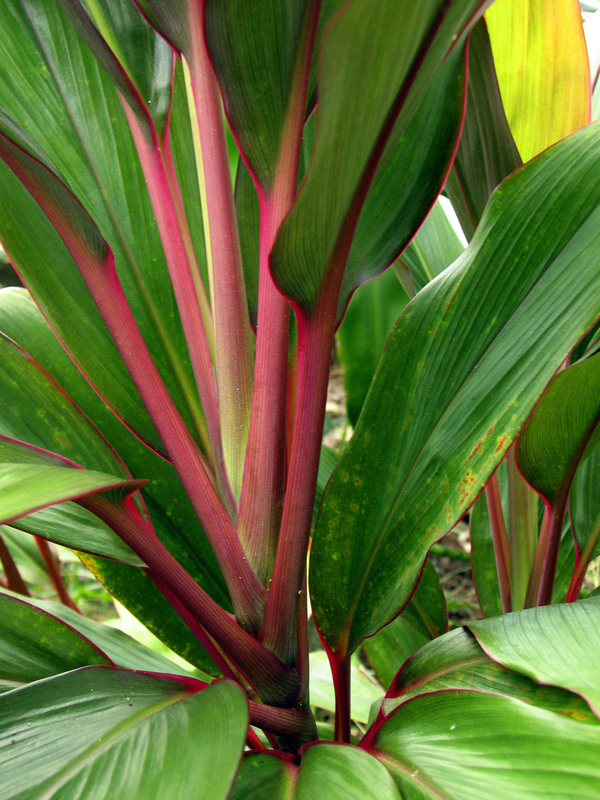 A favorite Hawaiian food is laulau in which pork, fish, shrimp or chicken are wrapped in the leaves for cooking. Please select the kitchen grade ti leaves as they are not sprayed with pesticide. If you are making your own hula skirt from ti leaves please contact us for special larger sizes. 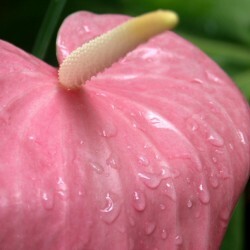 The typical floral leaves may not be large enough.